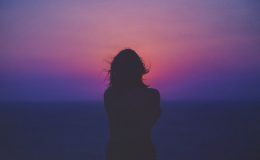 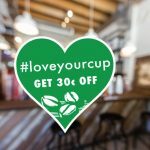 21 Tourism businesses, from the Burren Ecotourism Network have joined local entrepreneur Roisin Garvey and her #LoveYourCup Campaign to create the Burren Cup. 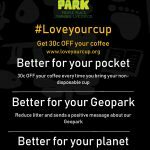 This is a project to minimize the amount of single use plastic cups, we want people to fall in love with their own re useable coffee cup and give up the habit of single use plastic coffee cups. At least 200 million single use cups get land filled every year in Ireland, that end up as litter on streets, in streams, our rivers and ultimately the sea. 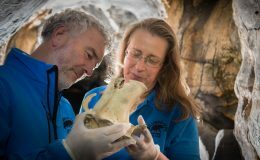 Following the success of the campaign in Ennistymon the Burren Ecotourism Network members joined forces to extend this project to the wider area of the Burren and Cliffs of Moher UNESCO Global Geopark, and together with Roisin, created the Burren Cup. 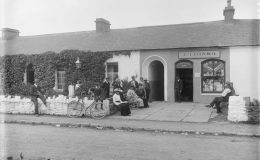 Anyone coming into one of the businesses listed below with their own keep cup will receive a 0.30 cent discount on their take away hot drinks. 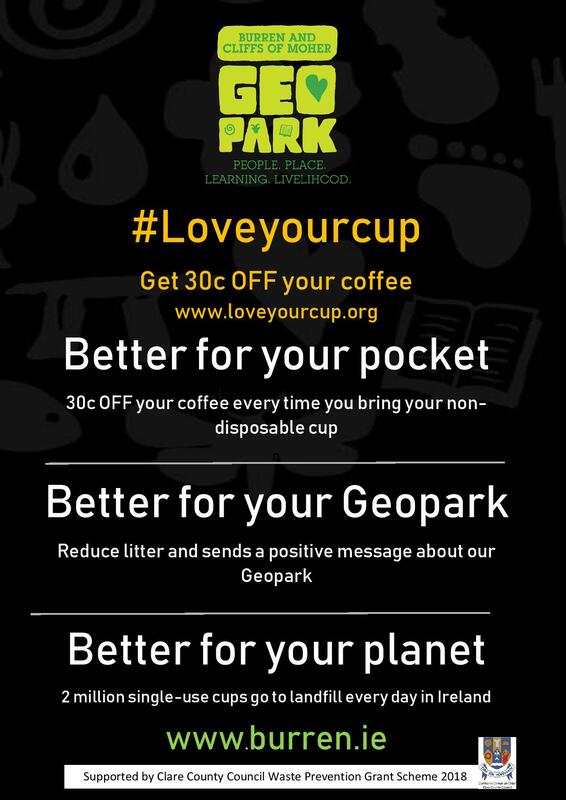 This money saving opportunity encourages locals and visitors alike to purchase their own keep cup. 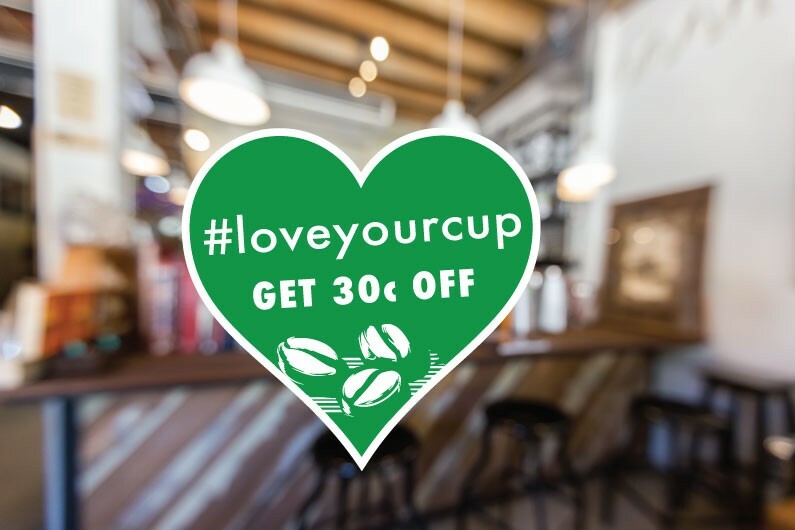 To avail of the discount customers should keep an eye on the Burren Cup Sign at premises or the #LoveYourCup signs. 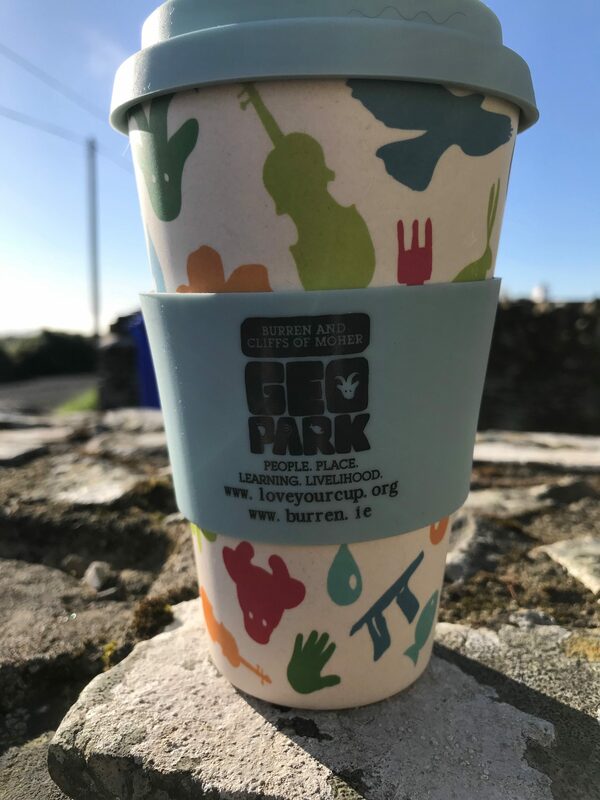 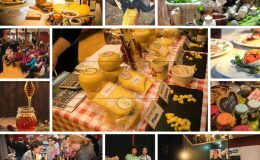 The Burren Ecotourism Network members are committed to protecting the natural landscapes of the Burren & Cliffs of Moher UNESCO Global Geopark and will continue to strive to abolish single use plastic items in the Burren.